Alan Jackson in Montreal or Quebec City? Inform me about the next events for Alan Jackson. Enroll yourself to our priority waiting list for Alan Jackson to be alerted when new tickets are available. Filling this form doesn't engage you to any purchase. At last, Alan Jackson is coming to the Province of Quebec! 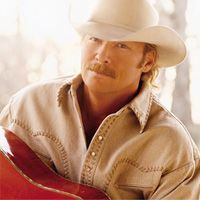 Alan Jackson's first concert ever in the Belle Province will take place at the Festival Western de St-Tite, on September 9th, 2010. In over 20 years, Alan Jackson released 13 albums - the most recent being Freight Train, which was launched in March of 2010 - and toured throughout the world, but never visited the Province of Quebec. Patrick Norman will be the opening act for the concert.